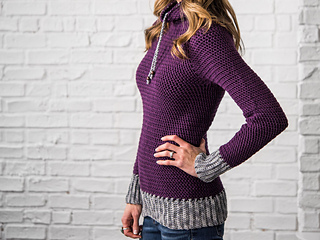 This sporty worsted weight cowl neck pullover is perfect for the intermediate level crocheter. The adult version is written in sizes XS to 3X. 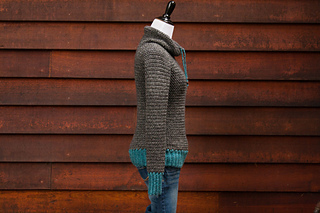 The sweater is worked top down and in the round making it possible to try it on as you go for the perfect fit. In the pattern you will find that each size is represented in the schematic. 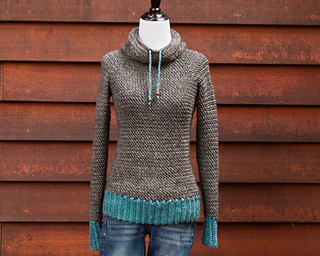 This sweater gets its unique texture by using the herringbone double crochet stitch. 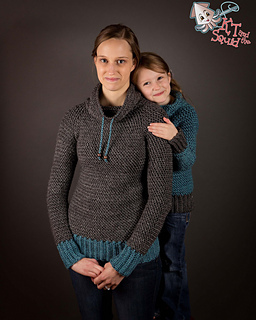 Additionally the pattern includes video tutorial links to demonstrate the special stitches. In terms of the pattern and wear-ability I think this design has the best of both worlds. While some patterns are easy to make they may not be very practical to wear and while others are easy to wear they may not be so easy to make. 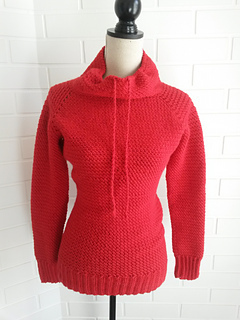 My Favorite Crochet Pullover is so simple. 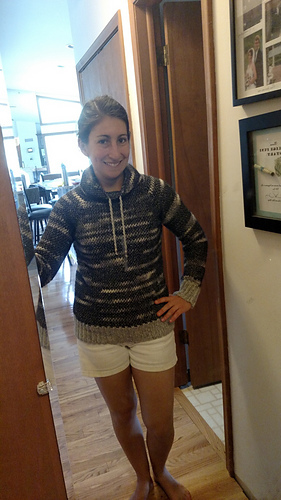 It’s constructed all in one piece from the top down with absolutely no seaming at all. The special stitch I used is what puts it over the top for me. 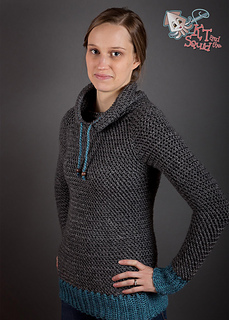 With some crochet stitches you end up with a thicker fabric which isn’t always flattering (especially when done with worsted weight yarn) but this one thins out the fabric wonderfully which help hug the body without adding too much bulk! Foundation Single Crochet (instructions included), Herringbone Double Crochet (instructions included), Herringbone Double Crochet 2 Together (instructions included), Reverse Single Crochet (instructions included), working in the back loop only, working in the round, working flat.